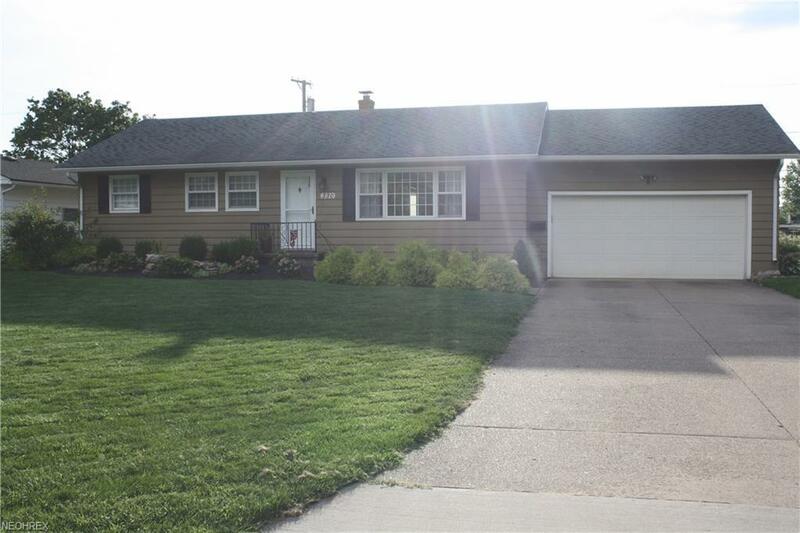 Welcome home to this cozy 3 bedroom, 1.5 bath ranch in the much desired community of Amherst. This home nestles up to the nearby school grounds. Improvements galore which makes this home move in ready. Completely remodeled addition off the back of this home makes a great family room w/wood burning fireplace & wood laminate flooring. Open concept feature leads to dining area & kitchen w/ breakfast bar for additional seating- also wood laminate flooring. Kitchen offers double pantry space & storage closet & all kitchen appliances remain; All bedrooms offer plenty of storage w/double closets w/ organizers; Improvements also include landscaping 2015, hot water tank 2018, finished garage w/ storage room 2016. Full partially finished basement offers large rec room w/ toilet & shower area. Sunroom & large rear 28 x 16 patio offers plenty of room for entertaining family & friends. Call for your private showing before this one is GONE!